You wait ages for a special day and suddenly 3 turn up at once… April the 23rd is cramming a lot of things into it’s busy schedule today. First of all we have St George’s day, that celebration of a Palestinian who is known (according to the tale) for making an endangered species even more endangered by killing a dragon. Had he lived long enough he would probably have set his sights on the unicorn… Still, the whole dragon slaying thing did give him a lot of kudos and it is one of the more interesting Saint’s tales I remember from school, even though it almost certainly never happened. Despite being the patron saint of England (and I have never understood why…) his day has yet to be named a bank holiday. This is probably because the government does not want to ally themselves with the somewhat nationalistic views of some of the pro St George brigade, which is understandable. Still, it would be nice to have the same number of Bank holidays as they have in Ireland and there they at least celebrate the day of a man who brought religion to their country (by getting very very drunk). Next up, there is Shakespeare… Old Bill was (allegedly) born on this day in 1564. I don’t think it need to be stated how much of an influence he had on writing. 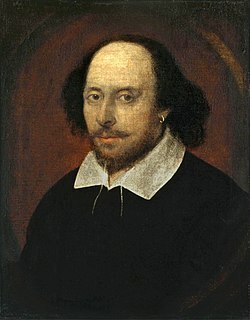 Whether you enjoy his plays or sonnets or not (and I suspect most of the nots have had a bad experience with him in school that has coloured their opinion, much like the issues I have with Thomas Hardy…) it cannot be denied that Shakespeare did a lot for the world of literature. Many of what we now call cliches in plot and character had their roots or were popularised by him. Therefore, I think April 23rd is worth celebrating for that alone. I’ve always been a fan; ever since realising that many of his stories such as MacBeth, A Midsummer Night’s Dream and The Tempest contain many of the elements that make a good fantasy story. Witches, wizards, curses, spirits, love potions, faeries and bloody kings. Even today some of the ways in which Shakespeare handled those elements are apparent in the work of Tolkien and G.R.R Martin and every author who follows them. It wasn’t very long after that when floppy discs started to appear. Necessity breeds invention and the necessity here was to have something more efficient than a cassette tape to load your games on… Now I can play games far more advanced and requiring more memory on my mobile phone. 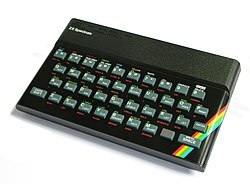 What memories do you have of St George, Shakespeare or the ZX Spectrum? *In those days, we replaced Napster and Bit Torrent and similar methods with a mate with a copy of the album and a tape recorder. They could also be used to make mix tapes for car journeys. Never did the whole Spectrum thing – was a Commodore 64 man myself. It would be nice to reclaim the flag and the concept of St George’s Day back from the extremists.